The Volunteer Income Tax Assistance (VITA) Program offers free tax help to low- to moderate-income (generally $55,000 and below) people who cannot prepare their own tax returns. Certified volunteers sponsored by various organizations receive training to help prepare basic tax returns in communities across the county. Trained community volunteers may help with special credits, such as Earned Income Tax Credit, Child Tax Credit, and Credit for the Elderly or the Disabled. Check out the video below for more information about the Earned Income Tax Credit and to see if you qualify! In addition to free tax return preparation assistance, our sites also offer free electronic filing (e-filing). Individuals taking advantage of the e-file program will receive their refunds in half the time compared to returns filed on paper even faster when tax refunds are deposited directly into one’s bank account. Sites are located in Greensburg, New Kensington, Monessen and Latrobe. To schedule an appointment call the United Way’s human services helpline … just dial 2-1-1. 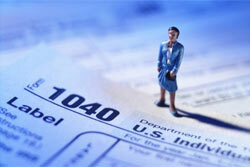 The Free Income Tax Service is funded by The United Way of Westmoreland County and PathwaysPA.